The 16th edition of the Hong Kong International Lighting Fair will be held on Oct. 27 through 30 this year at the Hong Kong Convention and Exhibition Center. It will try hard to outdo last year's show, which occupied 69,633 square meters of floor space, hosted 2,360 exhibitors, and attracted 38,030 buyers. 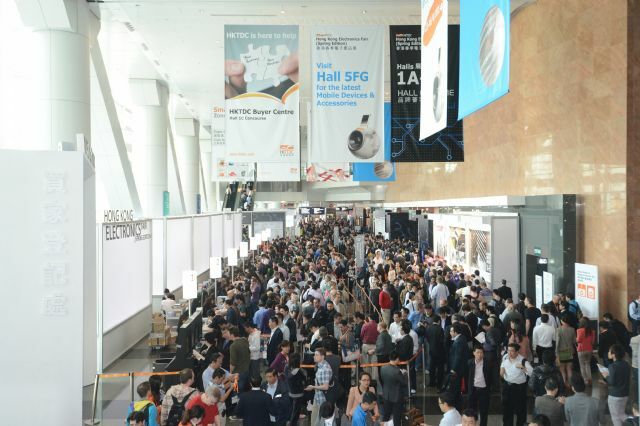 Hong Kong International Lighting Fair 2013 (Autumn Edition)hosted 2,360 exhibitors and attracted 38,030 buyers. The show is organized by the Hong Kong Trade Development Council and sponsored by the Chinese General Chamber of Commerce, Chinese Manufacturers' Association of Hong Kong, Federation of Hong Kong Industries, Hong Kong Electrical Appliances Manufacturers Association, Hong Kong Electronic Industries Association, Hong Kong Exporters' Association, Indian Chamber of Commerce Hong Kong, and Trade and Industry Department of the HKSAR Government. The products on show will be divided by category: advertising lighting, commercial lighting, household lighting, LED & green lighting, lighting accessories, parts and components, outdoor lighting, smart lighting and solutions, testing, certification and inspection, and trade services and publications. The advertising lighting section is one of the few places where buyers will be able to see products related to display, advertising, and marketing, all concentrated in one area. The smart lighting and solutions section will feature automatic lighting control technologies driven by the trend toward energy and time conservation. Specially highlighted exhibition areas will include the Hall of Aurora and LED & Green Lighting Zone. Last year, around 820 exhibitors occupied the LED & Green Lighting Zone to promote LED, energy-saving and other environmentally friendly products for commercial lighting, residential lighting, advertising lighting, and indoor and outdoor lighting for retail and architectural use. The Hall of Aurora will demonstrate the power of branding by exhibiting top-quality branded collections in a polished setting. Last year the hall drew large numbers of visitors, including designers, architects, retailers, and buying syndicates.